February is celebrated as Black History month in the U.S. and other countries. For us Black History is every month. So we've decided to add this Caribbean Pride section to the site to salute outstanding West Indians throughout the year. Some of them were born in the islands and others have their roots in the islands, but one thing is sure they all have the same traits--strong, intelligent, creative, proud--in true West Indian style. 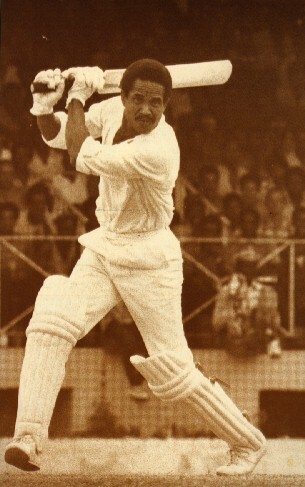 Sir Garfield Sobers was born July 28, 1936 in Bay Land, St. Michael Parish, Barbados. Unquestionably the worl1d's greatest all-around cricketer, he was a glorious left-handed batsman and a left-arm bowler who bowled either fast-medium or back-of-the-arm stuff. Also excellent in the field, he held many breath-taking catches close to the wicket. For more than three decades, he held the world record for the highest individual Test score of 365 not out against Pakistan at Sabina Park in Jamaica in 1960 before it was broken by another great left-hander and fellow West Indian, Brian Lara (375) against England at St. John's, Antigua in 1994. Sobers' Test aggregate of 8 032 runs (ave. 57.78) in 93 matches remained the highest for the West Indies for over 20 years before it was surpassed by Sir Vivian Richards. To have taken 235 Test wickets and held 109 catches further underlined how great he was. He was also the first batsman to hit six sixes in one over for Nottinghamshire against Glamorgan at Swansea in 1968. The unlucky bowler was Malcolm Nash. Sobers captained the West Indies in 39 consecutive Tests and was never afraid to take chances. He was a Wisden Cricketer of the Year in 1964. Sobers has been named as one of five Wisden cricketers of the century. In 1974 he was knighted by the Queen for his contribution to the development of international cricket and became Sir Garfield Sobers. In 1998, Sir Garfield Sobers was declared a national hero of Barbados. He is now an international golfer. Brendon Batson was born in St George's, Grenada and became one of the pioneer black football players in England. His professional career began at Arsenal and went on to Cambridge United. However it was at West Bromwich Albion that he made his mark on football at a time when black footballers would be subjected to extreme racism from football fans. 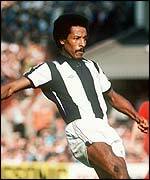 Along with his teammates Cyrille Regis and the late Laurie Cunningham, he became a key figure at West Bromwich Albion in the late 1970s and early 1980s as members of the three degrees. After retiring from football following a terrible injury sustained at Portman Road in October 1982, he swiftly established himself as one of the Professional Footballers Association (PFA) senior administrators rising to the position of deputy chief executive at the organization that he helped develop into one of the riches trade unions in the World. In 2000 he was awarded the MBE for services to football by the Queen of England. In 2002 he assumed the top post of Managing Director of his old team West Bromwich Albion. This 7 foot tall basketball player was born in Kingston, Jamaica in 1962 and migrated to the U.S. in 1975. He developed his basketball skills at Rindge & Latin School and won three straight state championships. At Georgetown University in 1985 under coach John Thompson, he was the NCAA MVP, and won the NCAA Championship in the 1983-1984 season. He also played on the Gold Medal winning US Olympic Basketball team, and was voted the Associated Press's player of the year. First ever NBA Lottery Pick of the New York Knicks, and was literally the pride of all Jamaicans worldwide, especially in New York. He played for them from 1985 - 2000, and still owns most of the New York Knicks's records for most steals, rebounds, points, blocks, field goals, free throw attempts. He owns most of the important Knicks' all-time records by having the most points, rebounds, blocks, steals and both field goals and free throw attempts. He again represented the United States as a Gold Medal member of the 1992 Dream Team. 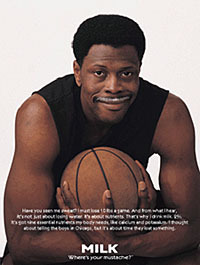 In the NBA's 2001 season, he played for Seattle Supersonics. For the 2002 season, Patrick signed as free agent with Orlando Magic. In the off-season, Patrick spends quality time with his family in the North-east, as well as his extended family back in Jamaica. He also spends time in South Florida with his fellow Georgetown alumni and close friend Alonzo Mourning of the Miami Heat.